Fife is a historical County in Scotland. Where the River Forth meets the North Sea you will find five beautiful fishing villages in the Firth of Forth, as the Scottish call this area. Read along and follow me as we go down to each of the tiny harbors of these beautiful Scottish fishing villages. The Scottish coast of Fife is rugged and beautiful. In addition, small fishing villages are scattered all the way north to Saint Andrews. Come along as we’re visiting my favorite fishing villages in Fife. 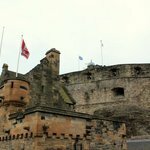 This is my favorite day trip from Edinburgh. What to expect when visiting fishing villages in Fife, Scotland? Our plan for the third day in Scotland was to drive north from Edinburgh to St. Andrews. Whenever we take a longer road trip, we look for places to stop on the way to our destination. Stopping frequently was a must especially because our children were smaller. Based on our research, about an hour drive from Edinburgh we should find five small fishing villages in Fife. We came to these villages after spending an entire day walking through the streets of Edinburgh. Coming from a large city we were very pleasantly surprised about these quaint and cozy villages. We loved the village atmosphere and enjoyed some really good fish and chips for lunch. Let’s visit these lovely Scottish fishing villages together from north to south. 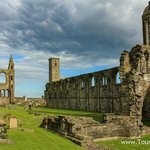 If you are coming from Edinburgh, the easiest way is to either rent a car or take a beautiful tour Fife and St Andrews. We rented a car from Edinburgh’s Waverly train station which worked great for us since we had small children, strollers and car seats. 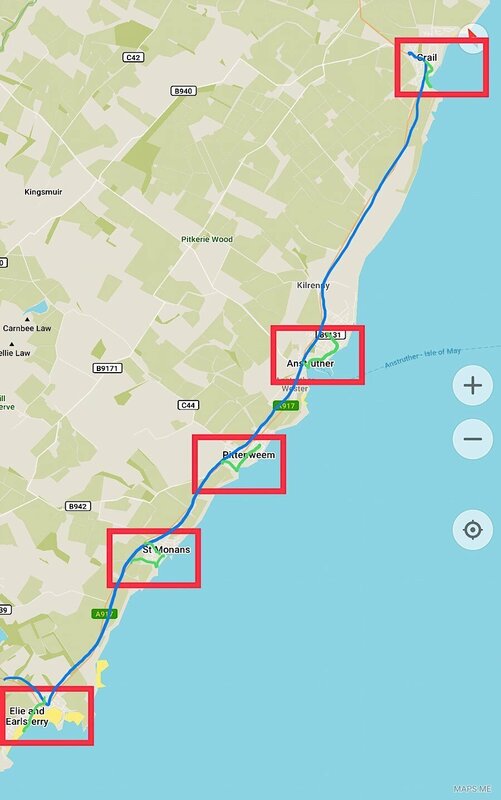 If you don’t have these restriction, this beautiful local tour is the best way to visit these Fife fishing villages. 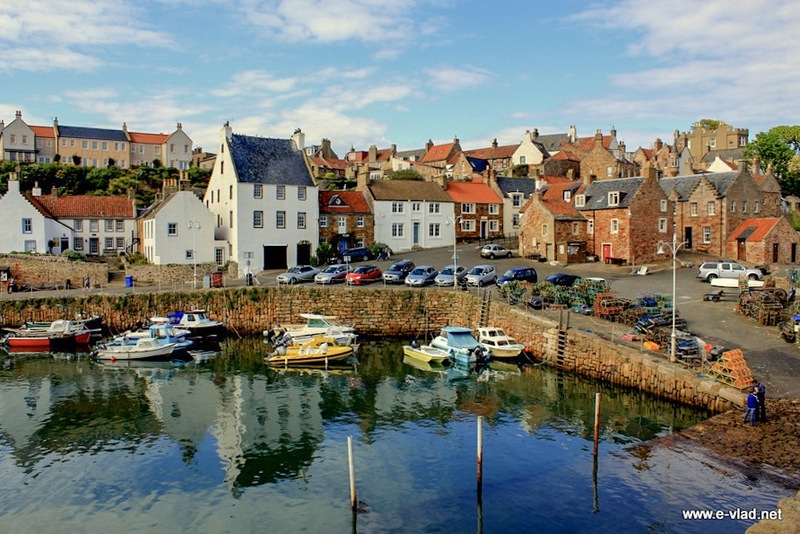 Crail is the smallest of the five villages and the coziest. This tiny fishing harbor is not even open to car traffic, unless you are a resident. However, we parked our car on top of the hill and easily walked down to take in this beautiful site. Crail, Scotland – Amazing blue sea water showing reflection of colorful village houses. 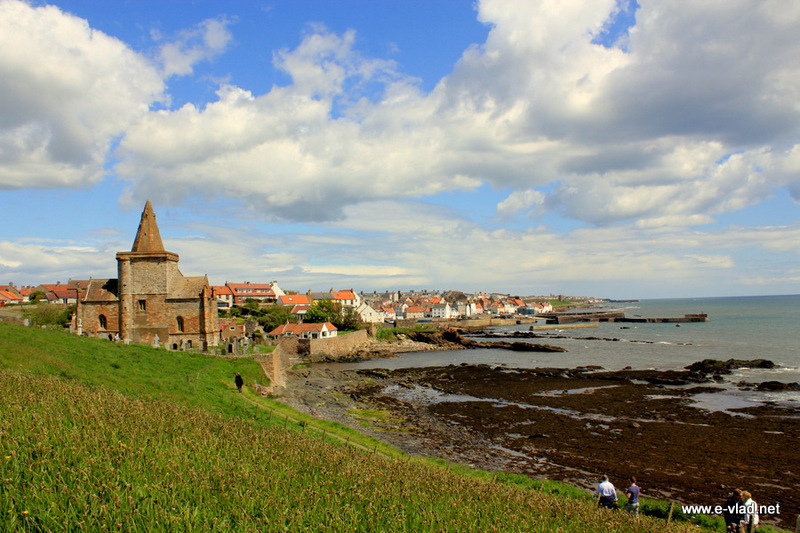 Crail, with its colorful tiny houses, against the backdrop of blue water, seemed taken from an impressionist painting. Small and perfectly quiet during the weekend, Crail was our favorite fishing village in Scotland. 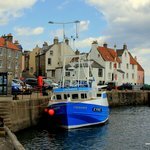 Anstruther is the larger of the five fishing villages, with a vibrant harbor area complete with an award winning fish and chips place as well as a fishing museum. This was not a quiet place as lots of people came to visit for the weekend. 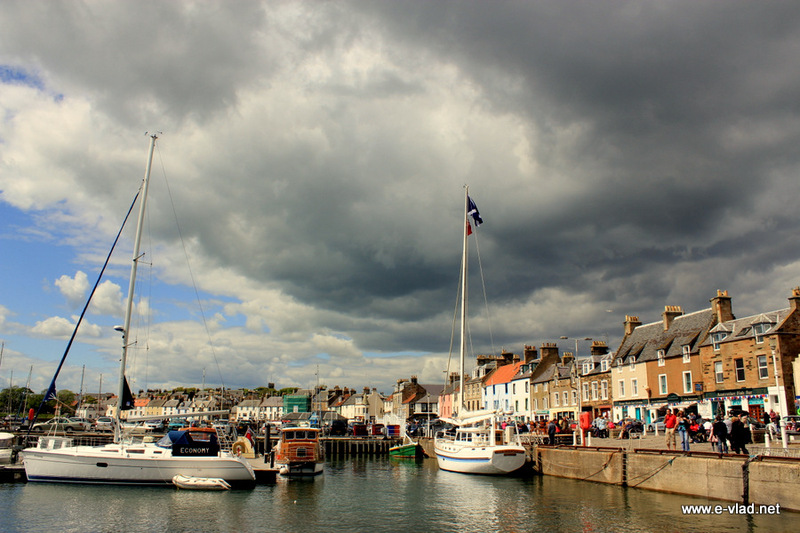 Dark clouds gathering over the marina at Anstruther. The fish and chips we had at Anstruther Fish Bar was fresh and absolutely delicious. Even our kids ate a really good portion and loved it. Since we visited during a national holiday, the Anstruther Fisheries Museum was free and we really enjoyed this small but lovely historical place. Pittenweem was quiet and relaxing. We enjoyed the harbor area and the views of the sea. 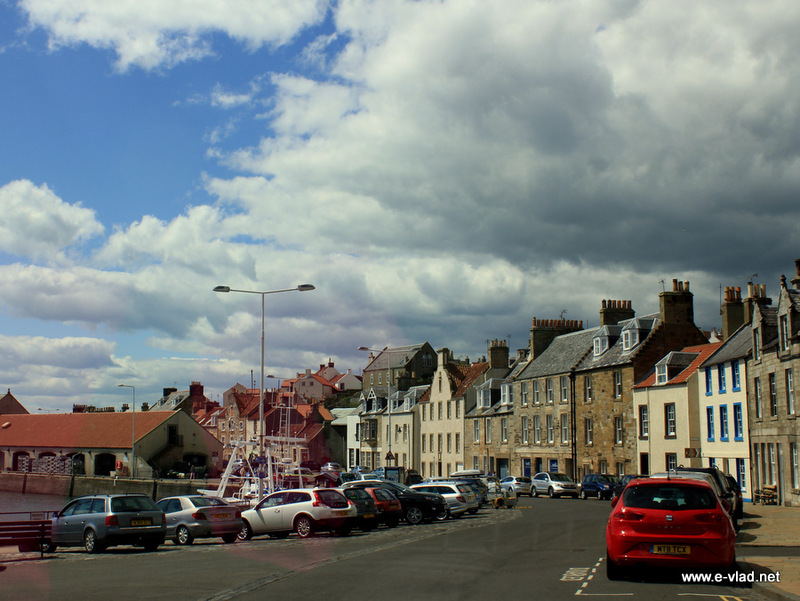 Pittenweem, Scotland – Walking towards the harbor area. St. Monans is my favorite Scottish fishing village. Coming into town, we parked our car right by the lone church overlooking the sea. The view of distant ruins and the fishing village nearby gave us an amazing feeling of the Scottish countryside. People walking toward the village of St. Monans on the beautiful coastal trail. The southernmost of the five fishing villages is Elie. In addition, Elie is the only one with a large beach area and lighthouse. 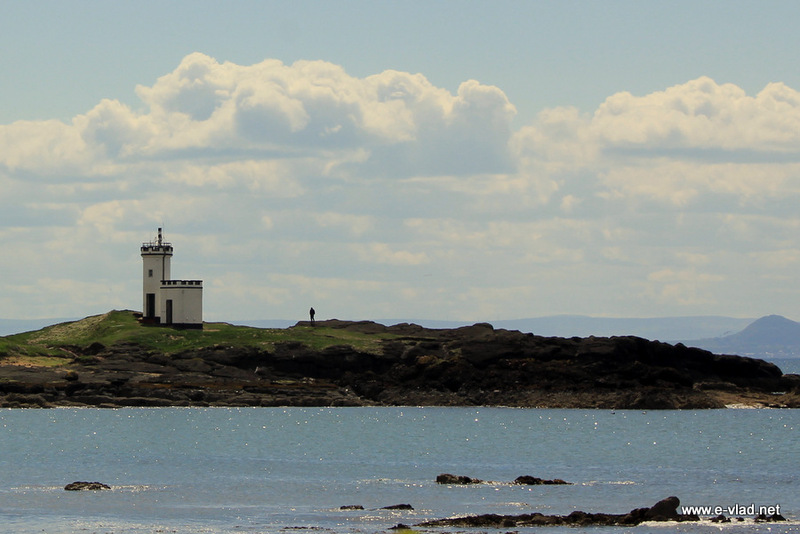 Elie lighthouse across the bay from the harbor. 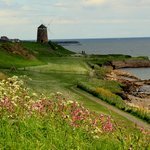 Is it worth visiting fishing villages in a Fife, Scotland? Absolutely! Especially if you’re looking to visit villages. However if you looking to visit cities with a lot of interesting things to see in museums and restaurants, these fishing villages in Fife are not for you. Find a budget hotel in the Fife area of Scotland. This beautiful rural area is close to both Edinburgh and St. Andrews. As a consequence, both cities serve as a good home base for exploring this beautiful coastal area of Scotland. You can also find great hotels in Edinburgh. Find a good deal for a rental car in Scotland. You need a rental car if you want to visit smaller places like these fishing villages. We picked up our rental car at the Waverly train station in Edinburgh and used it throughout our tour of Scotland. My guide for visiting fishing villages in Fife is part of my series about 4 days in Edinburgh.